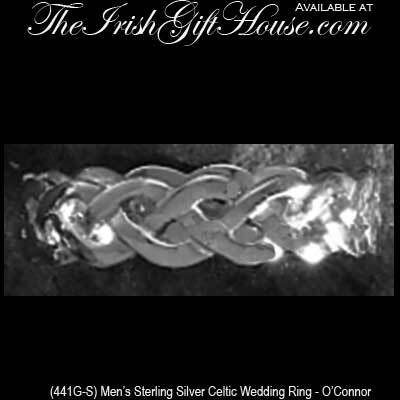 Men's sterling silver Celtic wedding band features a filigree eternity knot design. This sterling silver Celtic band has continuous interlaced knots with no beginning and no end. The Celtic wedding ring measures 1/4" wide and it is made by O'Connor Jewelry in Dublin, Ireland.